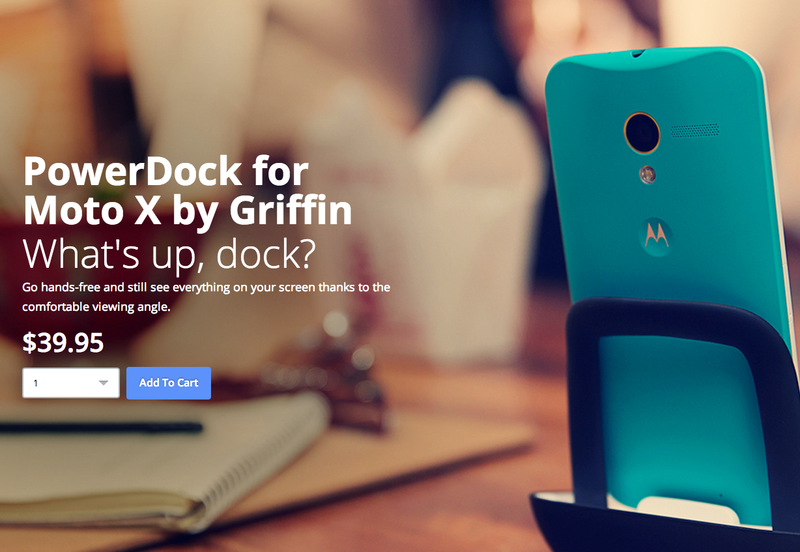 Earlier today, the official Griffin vehicle dock for the Moto X showed up as “in stock” momentarily through Griffin’s site before quickly selling out. We assumed (or at least hoped) this was a sign that both it and the PowerDock (desktop dock) would soon be available through Motorola’s store after prematurely going live back in August. Sure enough, both are now available for $39.95. We’ve got some on order, and will be doing a thorough walk-through as soon as they arrive. But if you can’t wait and have been anticipating the arrival of these two accessories since the phone first launched, we should point out that they also come with free 2-day shipping. If you order soon enough, you could have them by Monday, I would guess.